MRHC is open 24/7, 365 days a year. 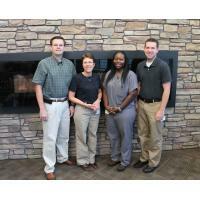 Have you taken a look at Manning Regional Healthcare Center lately? If not, then you may be surprised by all we offer in a pleasant, small-town setting. Building on a tradition of service that has spanned more than 80 years, MRHC provides state-of-the-art, convenient, all inclusive medical care to residents of West Central Iowa. We invite you to learn more about the many inpatient and outpatient services offered at Manning General Hospital, the award-winning long-term care given at the Manning Plaza and the respectful, compassionate care given at the only hospital-based residential chemical treatment center in Iowa, the Manning Family Recovery Center. Our unique health care infrastructure allows us to care for the majority of your medical needs right here in Manning.